On Wednesday, January 25th, new President Donald Trump took the first step to his much talked about the Mexican border. He pledged to “build a wall” on the Mexican border by issuing an executive decree. From the start of Donald Trump’s presidential campaign, he promised to build a wall along the U.S. southern border to separate Mexico from the United States. This was just one of the theme of tightening the immigration laws in America. Some of the other movements he intends to put into place involve hiring more Border Patrol agents, expanding detention space, and having tighter visa requirements. Trump has gone back and forth on what he wants the large barrier to looking like. CBS’s Lesley Stahl asked him if he would “accept a fence,” he answered by saying, “For certain areas, I would, but certain areas, a wall is more appropriate.” He then reported later on January 11th “On the fence, it’s not a fence; it’s the wall. You just misreported it. We’re going to build a wall.” Some of the borders are already fenced but President Trump argues that a wall is the only thing going to stop illegal immigrants entering America from Mexico. How Much Will the Border Wall Cost? A Texas Republican, a man from Donald Trump’s own political party, criticized his decision on issuing the executive decree on continuing the wall. The Texas Republican Representative, William Hurd, said “The facts have not changed. Building a wall is the most expensive and least effective way to secure the border.” Trump at one point during his campaign estimated the building cost of his wall to be $8 billion which he later revised to $10-$12 billion. 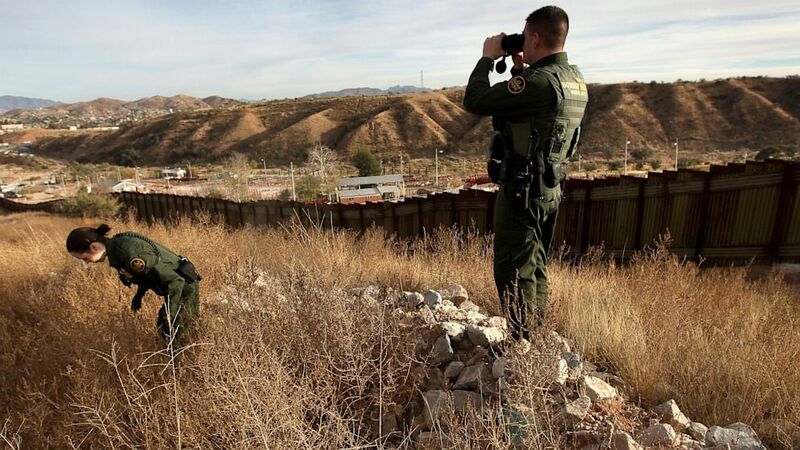 One estimate from Massachusettes Institute of Technology researched and estimated the cost to be somewhere between $27 billion and $40 billion for 1,000 miles (the current Mexico-US border is about 2,000 miles long). The Republican-controlled Congress would need to supply all the money for the wall to be completed. Also, many of the land on the border is privately owned so this implies the possible lengthy legal proceedings and substantial government payouts. Trump assured the American people that Mexico will pay for the wall but the Mexican government says is overimaginative and unrealistic. The former Mexican President, Vicente Fox, was asked if Mexico is going to pay the wall that Trump intends to build and he replied, “He should pay for it. He’s got the money”. While current Mexican President, Pena Nieto, also agreed and said that his country will not pay for a border wall. Are American’s Supporting the Wall? Many Trump supporters were also huge supporters of his intended border wall. However, a recent ABC News poll found that only about 37% of Americans were in favor of building the wall. Although this poll sounds like Americans don’t care must about immigration, 72% of Americans want to “deport undocumented criminals”. The reason many Americans don’t favor building the wall is because of the economic effect it will have on our country. About 77% of Americans say that it is “somewhat” or “very important” to have stricter enforcements of visa overstays. This explains that although many people agree with Donald Trump’s immigration policy, only a small amount agree with the building of the wall. How Soon Will This Begin? Yes, it is actually happening. 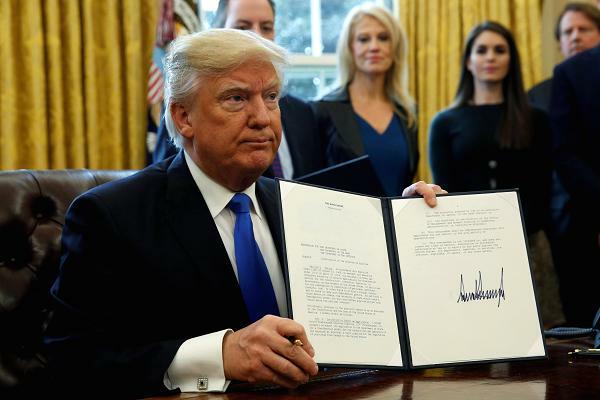 The President did sign the executive order to allow the building of the border wall, but the funds have yet to be in place. He still insists that Mexico will pay or reimburse the United States for the wall. Building this wall was one of Trumps biggest election promises so it is positive to see him fulfilling a promise that his supporters voted for. He was asked how quickly construction will begin at the US border and Trump said it could happen in “months”. The President said “as soon as we can, as soon as we can physically do it,” pertaining to building the wall in the near future. We’d love your thoughts; please comment below! Are you interested in immigrating to the U.S.? We helped thousands and We Can Help You! Contact VisaPlace Today. All our cases are handled by competent and experienced immigration professionals who are affiliated with VisaPlace. These professionals consist of the best immigration lawyers, licensed paralegals, and consultants who work for Niren and Associates an award winning immigration firm that adheres to the highest standards of client service.